Swiss digital news outlet Republik launched in January, with the aim of producing context-based journalism for and with its readers, enabling them to make informed decisions about events happening in their communities. Republik's launch followed a successful crowdfunding campaign in April 2017, when its small group of founders asked the public to support the outlet's reader-funded model and mission by pledging CHF 240 (£178), the cost of a yearly membership to the magazine. They achieved their initial goal – 3,000 members and CHF 750,000 – on the first day, and by the end of the campaign at the end of May, 13,845 people had pledged a total of CHF 3.45m. "We wanted to address the problematic situation we have everywhere in the world and also in Switzerland, that a lot of the big publishers are no longer serving their readers but rather advertisers and other areas of investment," Nadja Schnetzler, one of Republik's co-founders, told Journalism.co.uk. "We wanted to prove that there is a market for reader-funded and reader-centred journalism that really is in business only with the members, and not serving other interests." Republik has no advertising and currently has 18,400 paying members, referred to as 'publishers', who are contributing CHF 240 a year to access the stories and get involved in the reporting and events. 'Publishers' also become members of Project R, the non-profit cooperative behind Republik, which enables them to have a say in issues of editorial interest, for example whether the magazine should invest in a data journalism team or a Germany correspondent. "Some of the things people tell us they want we implement quickly, while others go in the pipeline. We tell people through the newsletter when we can or cannot do something because we can't afford it or it doesn't fit in with our mission, but we're always very actively communicating why we do things, when we will do them and what we're working on." Involving members in the editorial process is important for Republik, Schnetzler said. The title is experimenting with various strategies, such as creating an open and safe space on the website for people to suggest stories and provide feedback, and testing a "shared duty concept" by asking readers to contribute to crowdsourced research by gathering information or data from relevant public institutions. The editorial team consists of some 15 journalists (some of which are part-time), freelancers and six external columnists. The magazine publishes between one and three stories a day, focusing on longform reporting and analysis, columns and investigative pieces, as well as the occasional shorter articles about current news and events. The topics covered include politics, economics, society and "anything that is relevant to inform the Swiss electorate", Schnetzler said. "We want to do context-based journalism – as our editor-in-chief would say, it's 'writing the last article about something, not the first one'." The team is also aiming to expand their audio coverage, producing a weekly 'behind the story' podcast with Republik journalists and audio versions of some of the articles read by the reporters who worked on them. On the website, members can access the content in a curated, magazine-like format, or alternatively as a feed showing all the articles published throughout the day. A newsletter showcasing the coverage is also sent every day at 5am, and Republik's editor-in-chief also curates a weekly newsletter that aggregates interesting reporting from other organisations as well as Republik's own. Events are another way for the team to engage the audience, enabling readers to meet the journalists and discuss their stories. Republik also hosts workshops for members about the basics of fact-checking and investigative journalism. "We want to include people and make [the reporting] visible and understandable, because a lot of people don't know what a journalist does and what the criteria and requirements of this work are." Recently, the organisation introduced a monthly subscription for people who are only interested in accessing the content without participating, and some 1,400 readers have chosen the option of paying CHF 22 a month. In a similar way to De Correspondent, which Republik took inspiration from for its reader-funded model, stories are not made available outside of the paywall but paying members can share articles for free. "It's restrictive because we want people to understand that journalism must cost something, but at the same time we want the articles to spread into groups that need to be informed about these topics, so it's kind of a compromise." 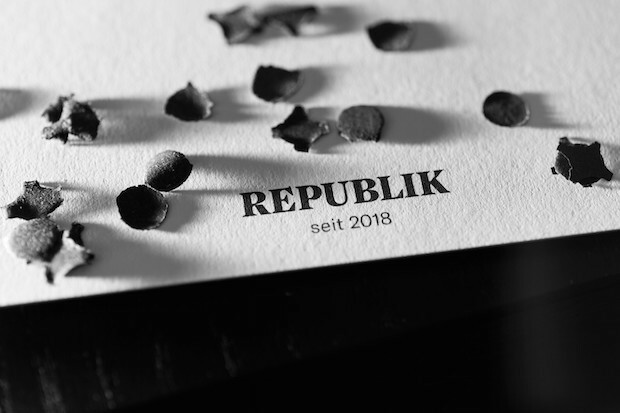 Republik needs 25,000 members to break even, Schnetzler explained, and in the meantime the magazine is also supported through additional funding from private investors, who have shares and capital but do not have a say in Republik and Project R's governing body. The magazine is the first project of the non-profit cooperative Project R, the aim of which is "to develop journalism in Switzerland and come up with journalism models that are reader-based and in service of the citizen, not commercially-driven". Once Republik is stable, the cooperative is hoping to start working on new projects and tools, with the idea that people are "funding a cause, that of furthering journalism, and not just a product". "We believe that debate is very important for society and that it goes hand in hand with journalism, so we also want to launch new experiments around debate, and find out how citizens in our country want to be involved in discussing important issues so that they become better informed to make decisions."